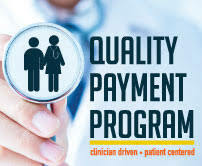 Year 3 of the Quality Payment Program (QPP) has seen substantial changes for the MIPS track across all four performance categories. The minimum threshold for the program increased from 15 to 30 points, making it essential to participate in more than one performance category to avoid a penalty. The Quality performance category is very different for Year 3, including the expansion of flexibility under submission methods, restructuring of the Web Interface submission method, and the adoption of Facility-Based scoring, to name a few. This category is set to make up 45% of an Eligible Clinician’s or an Eligible Group’s MIPS final score, and requires a full 365 days of reporting. The weighting, paired with the reporting time frame, makes this category one of the most challenging. All of this makes it important to perform well on Quality for 2019. Kentucky REC experts will interpret these changes and how they can impact your performance in 2019. We will explore the issues these changes present and what you can do to maximize your score for Year 3.